Located in the Northeastern United States, New York is known for its extensive population, beautiful scenery, and as the home to one of the world’s largest cities—Manhattan. From the rolling farmlands of upstate New York, to the dazzling lights and culture of New York City, the state of New York has a lot to offer residents. The state of New York has a veteran population of over 900,000—one of the highest in the country. 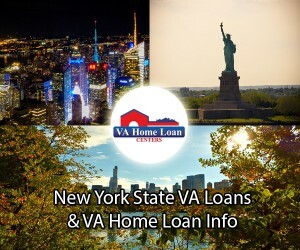 If you’re a veteran planning to use a VA home loan for the purchase of a property in New York, a termite inspection is required in the following counties: Bronx, Broome, Columbia, Delaware, Dutchess, Greene, Kings, Nassau, New York, Orange, Putnam, Queens, Richmond, Rockland, Suffolk, Sullivan, Ulster, Westchester. Additionally, manufactured homes cannot be purchased with a VA home loan in New York State. If you’re a veteran or servicemember in New York and you require assistance selling your home, contact 888-573-4496 or complete the form below. If you lack enough equity to sell, click here. VA Home Loan Centers offers assistance at no out of pocket cost to “upside down” homeowners. Many veterans and service members may be able to reuse their VA loan benefits in the future.